This triple DVD set is only available at Wal-Mart ... Check it out! When In Rome 2007 is a triple DVD featuring over 5 1/2 hours of material, shot during the band's hugely successful first tour in 15 years "Turn It On Again." The European tour ended with a show at Rome's Circo Massimo in front of 500,000 fans, and is captured here in its full glory. The package also includes a spectacular fly-on-the-wall documentary. 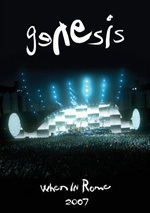 Among 2007’s 974 reunion tours, Genesis scored as one of the biggest. We get a glance at the band’s worldwide trek via When In Rome, a document of their July 2007 visit to Italy. Despite the absence of Gabriel, the concert included a few songs from his tenure: we find “In the Cage”, ”Cinema Show””, ”Fifth of Firth”, ”I Know What I Like”, and “The Carpet Crawlers” from the Gabriel era. All the rest come from the Collins-led period of 1976-1992. From 1976’s A Trick of the Tail, we locate “Ripples” and “Los Endos”, while 1977’s Wind and Wuthering provides “Afterglow” and 1978’s …And Then There Were Three presents “Follow You, Follow Me”. 1980’s Duke gives us “Duke’s Intro”, “Duke’s Travels” and “Turn It On Again”, but we get nothing from 1981’s hit Abacab. 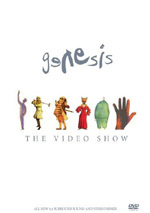 1983’s Genesis provides “Mama” and “Home By the Sea”, while 1986’s mega-smash Invisible Touch boasts its title song, “Land of Confusion”, “Throwing It All Away”, “Domino”, and “Tonight Tonight Tonight”. The band’s last release with Collins, 1991’s We Can’t Dance features “I Can’t Dance”, “No Son of Mine”, and “Hold On My Heart”. Finally, “Conversation with Two Stools” is a non-album percussion duet. When fans heard the band’s pre-tour TV performance of “Turn It On Again”, warning bells sounded. Phil sang the song in a much lower register than he originally used, and he didn’t sound too good. Partisans feared that this meant Phil couldn’t sing any more and that all the other songs would sound just as weak. The bad news: “Turn It On Again” sounds as limp here as it did on that TV show. But then there’s the good news: Phil sounds fine on every other song. I don’t know why “Again” is the one song for which he can’t even roughly approximate his original vocals, but all the other tunes show perfectly solid clarity and range. Whatever steps Phil has lost don’t mar his singing through most of the concert; I think his vocals are perfectly fine across the board, even though the keys do drop for a number of them. I can’t say that Rome generates much musical bliss, though. I saw the band when they hit Connecticut and felt distinctly underwhelmed with the result. Genesis put on a perfectly profession and competent concert, but not one with much passion or fire. They gave me an enjoyable evening that failed to stick with me after I left the arena. Since I’d been digging a bit of a Genesis renaissance at the time, this disappointed me. I went into the show about as high on Genesis as I’ve ever been, so that meant I was more apt to enjoy the results. Again, I can’t say that I didn’t like the show, but I also can’t claim that it did much for me. Usually concerts leave me wanting more, but when Genesis left the stage, I was content to go as well. One sign of my moderate disenchantment came from my lack of interest in a second go-round. Frequent readers might know that I really enjoy live music, and I’ll often see acts repeatedly on the same tour. The Connecticut show came before their visit to my home base, and I assumed that if I liked Genesis in Hartford, I’d want to take in another concert when they came here. Nope – I felt almost no interest whatsoever in a second spin. Granted, some of that stemmed from the high ticket prices; I might’ve been more willing to check out Genesis again if I could’ve gotten a decent seat for less than $100. Nonetheless, the prospect didn’t particularly enthuse me at any price. Any thoughts that I caught the band on an off night evaporated when I watched Rome. This was virtually the same show I saw in Connecticut, albeit on a bigger scale. The Hartford Civic Center is a relatively small arena, while Rome finds Genesis in a stadium-size outdoor setting. That means a bigger stage but no other apparent changes. I believe both concerts boasted virtually identical setlists, and the performances remain quite similar. I don’t think a lot of variation occurred from show to show; Genesis played at a consistent level of competence but not with much real inspiration. And that’s a disappointment. No, I don’t expect real fire onstage ala a Springsteen concert, but Genesis circa 2007 seemed rather somnambulant. The show never kicks into a higher gear. It always remains enjoyable and that’s about it. I will give Genesis some credit for an occasionally ambitious setlist. They eschew some hits like “Abacab”, “No Reply At All”, “Jesus He Knows Me” and “Paperlate” while they embrace their prog side via the long “In the Cage” medley, “Domino” and “Los Endos”. I admit I’d like more from the early Eighties and less from Invisible Touch and We Can’t Dance, but I think the show balances hits and more experimental work pretty well. At least I can’t complain about the concert’s trek to DVD. Director Lawrence Jordan reinvents no wheels in this steady and effective visual presentation. Technical gimmickry is nowhere to be found, as we see the show in a concise manner. You’ll find no irritating quick cuts or other idiotic choices that do little more than make a concert tough to watch. I might prefer fewer crowd shots, but these don’t escalate to the level of distraction - usually. They’re a bit tedious but tolerable. This isn’t an inspired visual presentation, but it proves satisfying. And the same can be said for Genesis – to a moderate degree. When In Rome provides a pleasant experience but not one that ever truly excels. As a concert, it’s a “C+”. 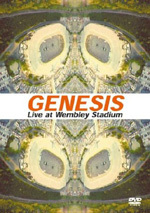 Genesis: When In Rome appears in an aspect ratio of approximately 1.78:1 on these single-sided, double-layered DVDs; the image has been enhanced for 16X9 televisions. While always acceptable, the visuals didn’t look as good as I’d expected. Sharpness caused some of the concerns. Most of the show appeared reasonably concise and well-defined, but exceptions occurred, primarily during wider shots. The image had a slightly gauzy look at times, and this meant the proceedings could be just a little hazy. The majority of the show looked fine, but it lacked the tightness I’d prefer. Some minor instances of jagged edges and shimmering popped up, but nothing significant came in those areas. Edge enhancement appeared to be absent, and source flaws weren’t a concern. I noticed no defects through the show. Colors suffered a little from that gauzy feel I mentioned. Some segments seemed overblown to a mild degree, and that meant the hues could be a bit pale. On the other hand, some lighting was too heavy, such as during “In the Cage”; the red lighting that covered the band seemed a smidgen dense. Again, these were minor concerns, but they existed. Blacks were dark and tight, and shadows tended to be fine. The only low-light delineation issues that arose came from those dense colors I mentioned. Otherwise those segments looked good. Overall, this was a satisfactory presentation, but it didn’t excel. When In Rome presented both Dolby Digital 5.1 mix and DTS 5.1 soundtracks. Don’t expect significant differences between the two. The DTS mix was a little warmer, but not to a substantial degree. For the most part, the pair seemed identical to me. As one expects from a concert presentation, the soundfield remained focused on the front, where the elements showed good stereo imaging. Phil’s vocals appeared firmly set in the middle. The instruments were accurately located and they demonstrated nice breadth and delineation. I could distinguish the various instruments with ease, as they were placed in a natural and clear manner. They also blended together smoothly to create a forward soundstage that consistently created a real and involving setting. As for the surrounds, they mostly featured crowd noise, though they seemed to involve the music to a higher degree than normal. The instruments seemed quite expansive throughout the track, and that meant the surrounds gave us a little more than usual. This worked well and never felt gimmicky; the music showed a natural sense of place. I was also glad the mix omitted the standard “arena echo”. Yeah, if you see Genesis in a cavernous spot, you’ll get that reverb, but I don’t need it on a DVD to feel like I’m at the show. Audio quality sounded solid. Phil’s vocals worked fine, as they replicated the desired impressions well. The rest of the track also showed good clarity and a dynamic tone. The instruments remained crisp and vivid during the concert. Low-end was warm and full, and high-end seemed concise. This was a consistently positive audio presentation. We find a nice mix of extras across this three-disc set. DVDs One and Two include Concert Extras. These give us 20 behind the scenes snippets. They can be accessed as you watch the concert - an icon appears on screen when they’re available – or separately in the supplements area. The shortest lasts one minute, 32 seconds, while the longest goes for eight minutes, 58 seconds. Taken as a whole, they fill a total of one hour, 10 minutes and 12 seconds. Throughout the “Concert Extras”, we look at various aspects of the pre-tour machinations. We might see rehearsals, band meetings, or other elements that went into the creation of the tour. Each one relates directly to a specific song, which is why they link from each tune during the show. This makes them a bit disjointed if you watch them separately, but they’re still cool to see as they provide fine behind the scenes information. On DVD One, we find a stillframe reproduction of the Tour Programme. It covers 20 screens as it shows the tour book. Since I was too cheap to buy one, I’m happy to get this reproduction, even if it’s impossible to read the text. DVD Two presents a Photo Gallery. 21 stills pop up in this decent collection of shots. Some brief Deleted Scenes also show up on DVD Two. This section runs two minutes, 11 seconds as it essentially shows another “Concert Extra”. In this one, we see manager Tony Smith badger the band members to do their “homework” and write short essays for the tour programme. It’s amusing. Over on DVD Three, we get a feature-length documentary called Come Rain or Shine. The one-hour, 50-minute and 18-second program includes comments from band members Phil Collins, Tony Banks and Mike Rutherford as well as musician Daryl Stuermer and band manager Tony Smith. We follow the tour from its start through its end – well, its finish in Europe, at least. “Rain” really does cover a wide variety of tour elements. We watch rehearsals, see the band put together the set list, design the stage, and figure out all the other aspects of a massive stadium tour. We learn a lot about all the work that went into the trek and find many fascinating tidbits. Indeed, there are tons of entertaining little bits on display, and we get some “warts and all” moments such as when Collins tries – in vain – to hit the high notes for “In Too Deep”. I love the bit when Rutherford gripes that the stage is too small – much to Smith’s astonishment, as well as the amazement of anyone who saw the gargantuan set. There’s also a hilarious detour in which drum tech Brad “Munchie” Marsh goes off in a profane way when delegated to find the perfect stool for the drum duet. I worried that the 70 minutes of “Concert Extras” would make “Rain” seem redundant, but that definitely wasn’t the case. Concert DVDs rarely provide extensive behind the scenes footage, and that’s part of the reason “Rain” is so wonderful. It offers a truly in-depth look at the tour, and it does so in an engaging and entertaining manner. Honestly, “Rain” is more fun to watch than the concert itself; this is a terrific documentary. As a moderate fan of Genesis, I can’t say I expected to be dazzled by When In Rome, a look at their 2007 reunion tour. Nonetheless, I hoped to feel more moved than I was, as the show proves enjoyable but not especially compelling. The DVD provides decent picture, very good audio and some excellent supplements. 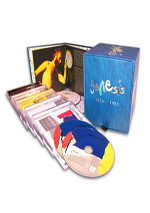 Despite my lack of great enthusiasm toward the concert itself, I still recommend this nice package for Genesis fans.